Tweet of the Week. BRO TIPS! Freddie Wong and Corridor Digital give one of the most practical Premiere Pro presentations. Period. Plus, Freddie shares his personal editing philosophy and professional perspective. Alliteration aside, this is a must watch for Premiere Pro editors. Priceless. Best Kept Audio Secret: Check out this sneak peek to see how Audition will be even more integrated with Premiere Pro in the next version of Creative Cloud. The secret to editing audio in Premiere Pro is to use Audition instead. Most Helpful. A double stack pancake timeline? Pass the syrup. Honestly, it's the little things that can distinguish you as an editor. Tips via Jonny Elwyn. Best Workstation. This could be an Unsplash.com photo. Gamechanger. "The game has changed." How will you use adjustment layers in your next edit? @AdobePremiere. In case you missed it; Jason Levin's NAB 2015 presentation of the new Premiere Pro is good watch. Congrats to all those featured in this week's Week in Premiere! Give these Tweets some love and engagement! 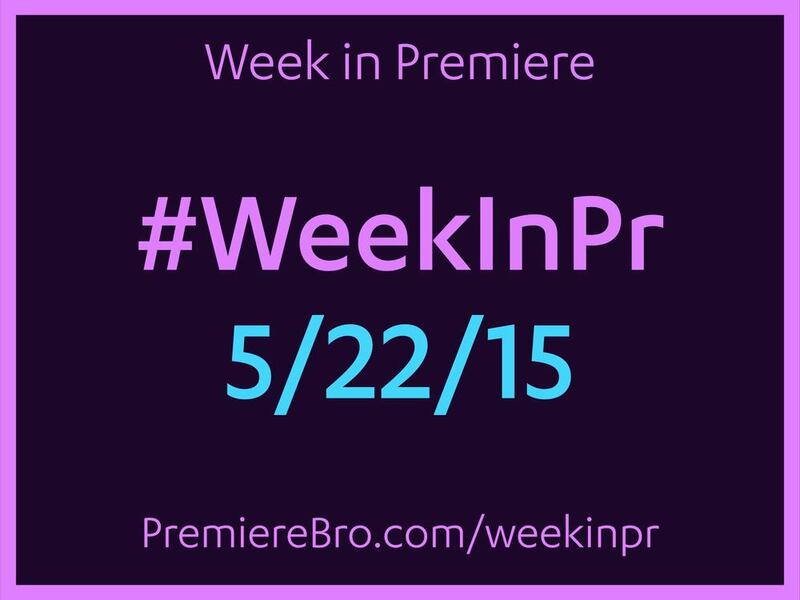 Have your Tweet featured next week by sharing something Premiere Pro related with the hashtag: #WeekInPr.